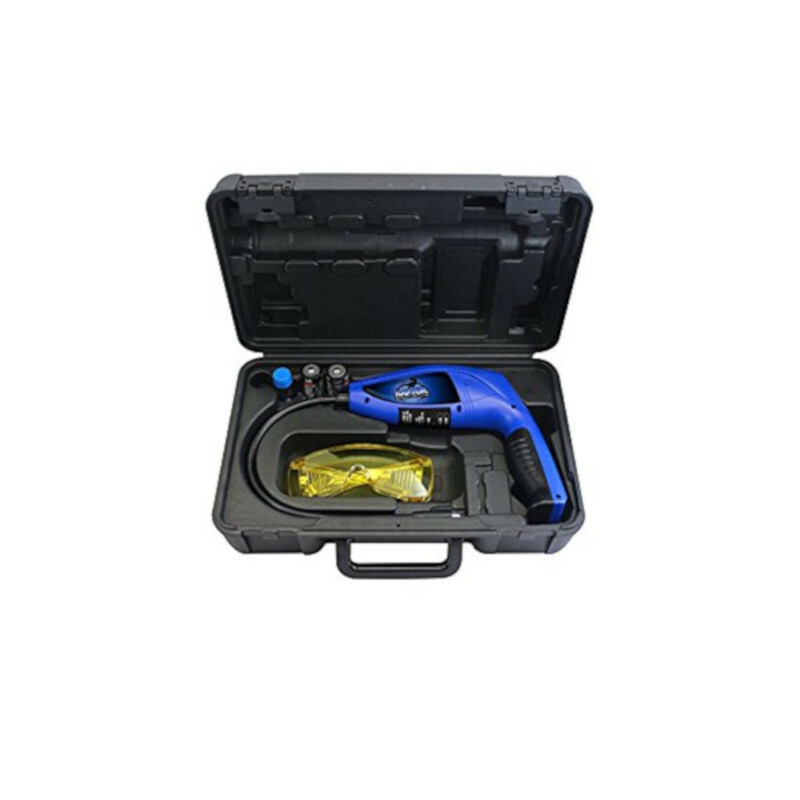 The Mastercool 56200 is an easy to use, ergonomic, state of the art refrigerant leak detector with micro-processing technology to easily and accurately locate leaks. This refrigerant leak detector uses both electronic and UV blue light technology to ensure even the toughest leak can be found. 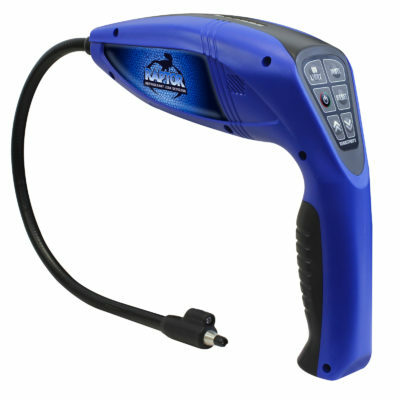 The Mastercool Raptor leak detector can be used to detect all CFCs, HCFCs and HFCs refrigerants and is perfect for any service technician to detect leaks in commercial and residential HVAC systems as well as automotive refrigeration systems. 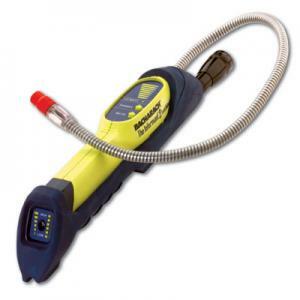 The UV refrigerant leak detector has a sensitivity to find leaks as small as 0.1 oz. / year. The technician can choose from 6 levels of sensitivity and is easily adjusted by pushing the UP or Down arrows when trying to hone in on a leak. The instrument has a mutable, variable frequency, audible alarm as well as a visual LED that changes from red to yellow to green to indicate higher levels of refrigerant concentration. 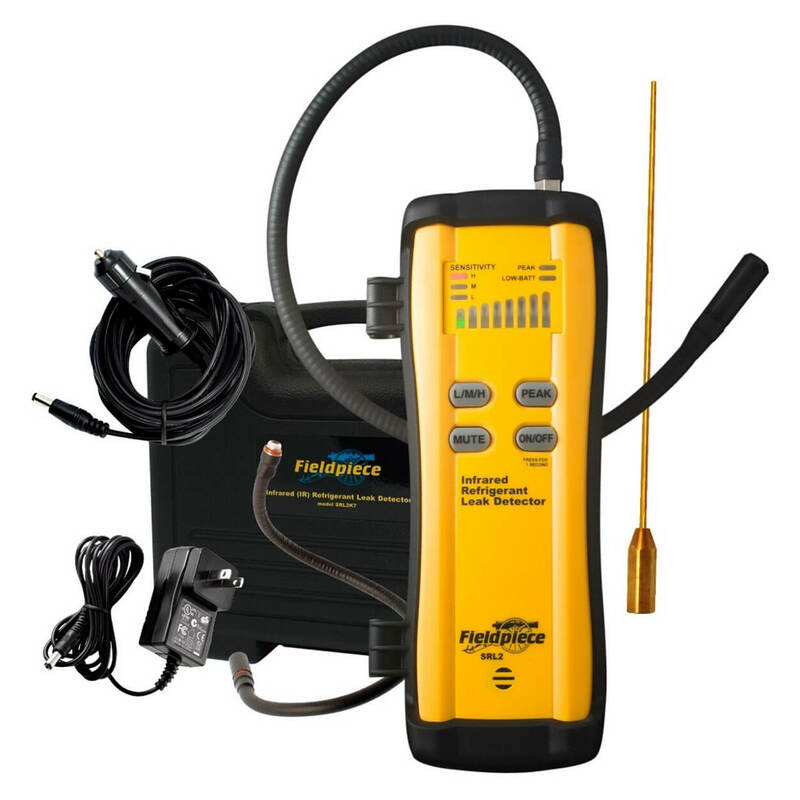 The Freon leak detector also has a reset button that can be used to find the leak source. When the instrument indicates a leak visually and audibly, the technician can hit the reset button so the sensor will only detects leaks at a higher concentration helping to pinpoint the exact leak location. 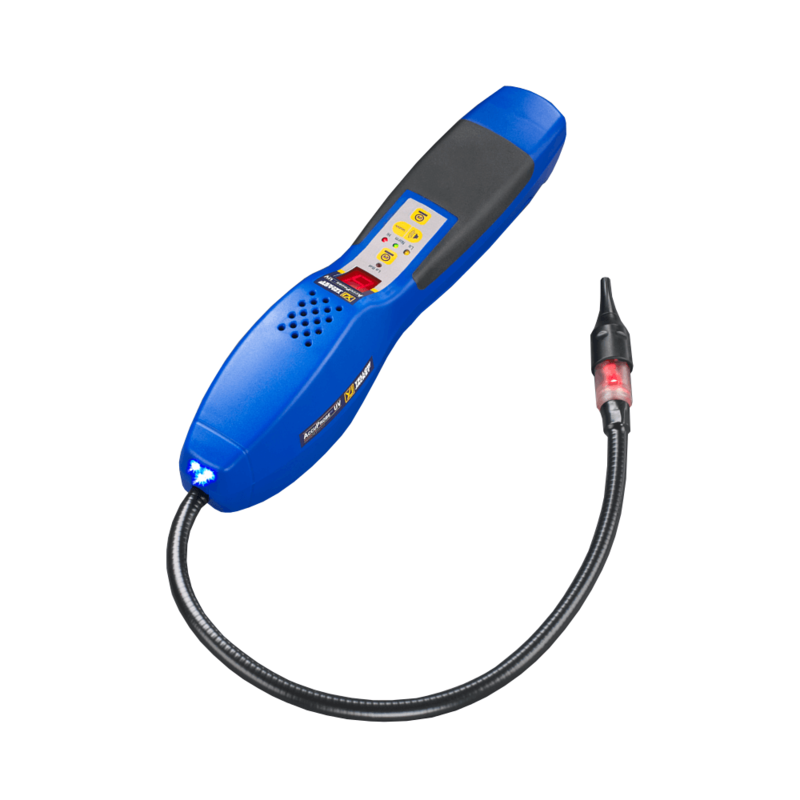 This refrigerant leak detector has a 16” flexible probe with a UV/Blue Light on the end that will detect systems that have had dye injected to locate leaks. This can be very helpful in pinpointing even the smallest of leaks. The Mastercool 56200 is operated by 2 “C” batteries.